We feel extremely proud to share that Mr Sanjay Kaushik, the Physical Education Teacher of Evergreen Sr. Sec. School has been awarded with the 'Outstanding Physical Education Teacher' of the year award 2018 for his selfless and highly dedicated contribution in enhancing the education of the students in the world of sports, health and fitness. 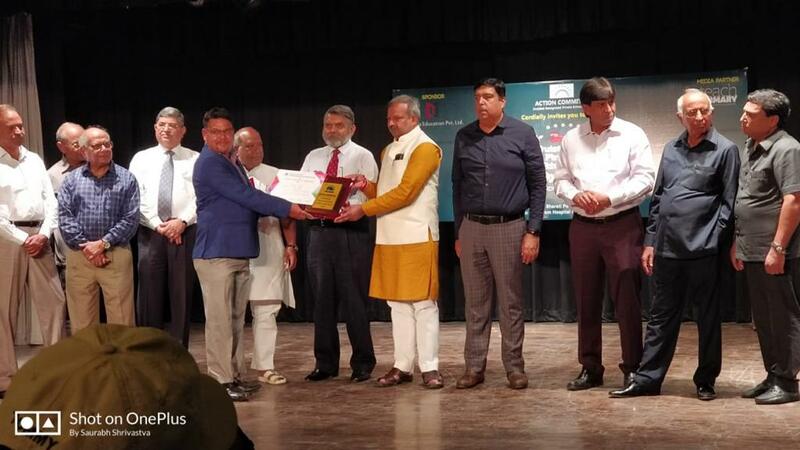 This prestigious award was given by 'Action Committee' on 27/09/2018 at Bal Bharati Public School, Ganga Ram Hospital Marg.